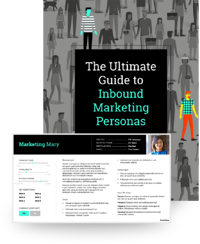 As I’m sure you’ve heard before, buyer personas play a key role in the development of successful inbound marketing and inbound sales programs. Truly understanding who your target buyer is, both at a personal and professional level, is a foundation of aligning sales and marketing efforts. Specifically, for SaaS companies, there are many similarities in how these personas are developed and used within the organization. There are, however, some additional benefits that marketers at SaaS companies can take advantage of. Here, we will discuss best practices for developing personas for your SaaS company and how to use them successfully. First, let’s briefly define personas and how we use them within our organization. 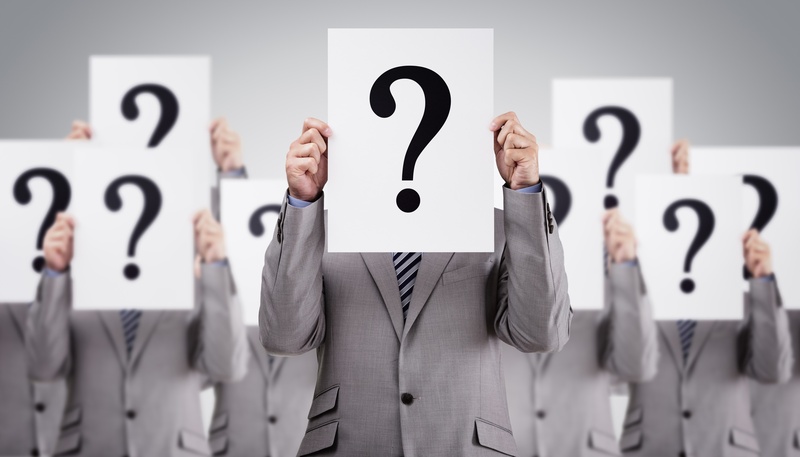 Buyer personas are semi-fictional representations of your ideal customer or potential buyer. By outlining certain characteristics, we are able to differentiate between different personas and how they interact with your company. For many SaaS sales processes, there are multiple prospects involved. This often breaks down to influencers, internal advocates, and decision-makers. Personas allow you to clearly define the roles and responsibilities for each, and help to tailor your content and conversations appropriately. Once personas are built, the applications are limitless. Not only are they used within the marketing efforts, but they also are extremely helpful in driving sales, customer service, and product development. Understanding the ins and outs of your target audience will allow you to align all of the departments within your SaaS company together. The first step in developing personas within your SaaS company is to involve the right team members. Often, personas are defined by the marketing team and then shared with the rest of the organization. The fact is, the most useful personas are the ones built with involvement from multiple departments. SaaS companies have the advantage of many touchpoints throughout the customer lifecycle. From marketing to sales to account management, customers are interacted with from a variety of angles. Each department can share a valuable perspective, helping to make these personas as accurate as possible. Now that we’ve identified the required team to build personas, let’s get discuss which criteria to include. These are the main sections of a persona document that will need to be completed for each character. 1. Demographics: Understanding your buyer’s demographics is extremely important. This information helps to guide many aspects of marketing and sales. Questions around demographics can include topics such as where the person lives (urban/rural areas), their education, age, experience, and so on. This data will allow you to really step into the shoes of your target audience and get to know them. 2. Industry: For SaaS companies, identifying the industry of each persona is extremely important. In some cases, your solution is built to accommodate the needs and fill gaps within one particular vertical, such as healthcare or finance. If this is true for your business, any prospects outside of these are unqualified and would not be worth your sales and marketing efforts. However, for some businesses, SaaS products can be adopted across a variety of industries; this is common with ERP and CRM software. In this case, identifying the industry of each persona will help to craft a unique message used in sales and marketing content. How one industry speaks to your value proposition may differ from another, even though the underlying message is the same. 3. Role within the company: Another important factor to include is the persona’s role within the company. As mentioned earlier, with some long sales cycles seen with SaaS products, there can be multiple points of contact. Some of these are influencers, who tend to be the first line of defense when vetting a solution, whereas the decision-maker gets involved more toward the end. Additionally, members of different departments within the organization (IT, Sales, Marketing) may have different needs. By adding this information to your persona documents, you can further tailor your messaging and lead nurturing to be as compelling as possible. 4. Pain points and challenges: One of the most important things to understand when developing personas is the individual pain points and challenges that your audience faces. For SaaS companies, your products solve a problem, whether it’s increasing efficiency, providing better analytics, and so on. Identifying for each persona what they deal with on a day-to-day basis and why they are beginning to look for a solution will give great insight and direction. Answers to this question will guide content marketing efforts and help to streamline emails and nurturing workflows. Additionally, knowing this information can help drive better sales conversations. When a sales qualified lead is identified as a particular persona, that gives the sales rep ample information to prepare for their initial outreach and demonstration. This can result in a higher closing percentage as well as a shorter sales cycle. 5. Goals: Much like pain points, uncovering goals for each persona is critical. Depending on the individual’s role, goals can range from hard metrics to abstract improvements. For example, when building a persona for a CEO or sales executive, often a goal will be to hit a specific revenue target or lead metric. On the contrary, in some cases with mid-level employees or influencers, the goals are to streamline administrative tasks or improving communication within a team. Although these vary significantly, aligning goals with each persona will help to further understand how your unique solution fits for them. 6. How and where they consume information: As stated earlier, personas will help to drive marketing and content efforts for nurturing and lead generation. Learning where and how your audience consumes information will tell you where to promote content and in what form to produce it. For example, if your personas subscribe to blogs and spend a lot of time on LinkedIn, that guides the content and social promotion strategy clearly. Furthermore, it can help to identify new decision-stage opportunities for offers. For those personas who like to interact and share ideas, a consultation or project assessment could be a great way for them to connect with your sales team. On the other hand, if your audience likes to consume content on their own, a downloadable demo or guide might convert even better. Knowing where and how your personas gather information is extremely important in this development process. Sourcing all of this information is no easy feat. It often takes revisions and iterations to get them as close to perfect as possible. To do so, consider interviewing many of your current clients. In our experience, happy customers are always open to discussion and sharing why and how they got into their initial discovery process. Also, be sure to connect with a variety of these customers, from decision-makers to influencers, and across industries. This will help to get a broader sense of your target audience as a whole. Additionally, to gather demographic and background information, look at job descriptions posted online for your particular persona. Often, these will include day-to-day responsibilities, education requirements, experience, and more. It can be difficult to ask these questions when interviewing existing customers, so this step can help fill in the blanks. As we outlined in this article, there are many steps necessary to developing personas for your SaaS company. Understanding who your audience is, what their challenges are, and how your solution helps them meet their goals, will undoubtedly improve your marketing and sales efforts. Being able to align content, nurturing, and sales conversations with individual personas will also align these departments within your organization, increasing collaboration and driving new business. Andrew Macey is a HubSpot alumni and Senior Consultant at SmartBug Media. 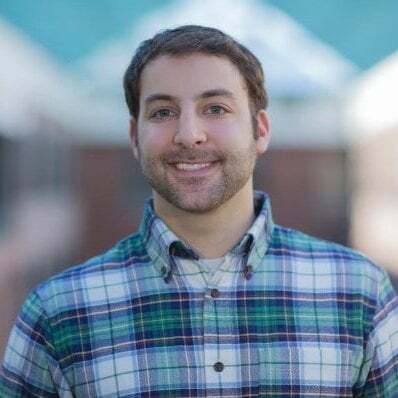 He has more than 5 years experience in inbound marketing and is a graduate of the University of Vermont. He is excited to share his knowledge with you! Read more articles by Andrew Macey.